Over the past year, I’ve definitely become more immersed in beauty, from dishing on my favorite beauty products for xoJane to subscribing to a number of beauty boxes including my favorite from Ipsy. 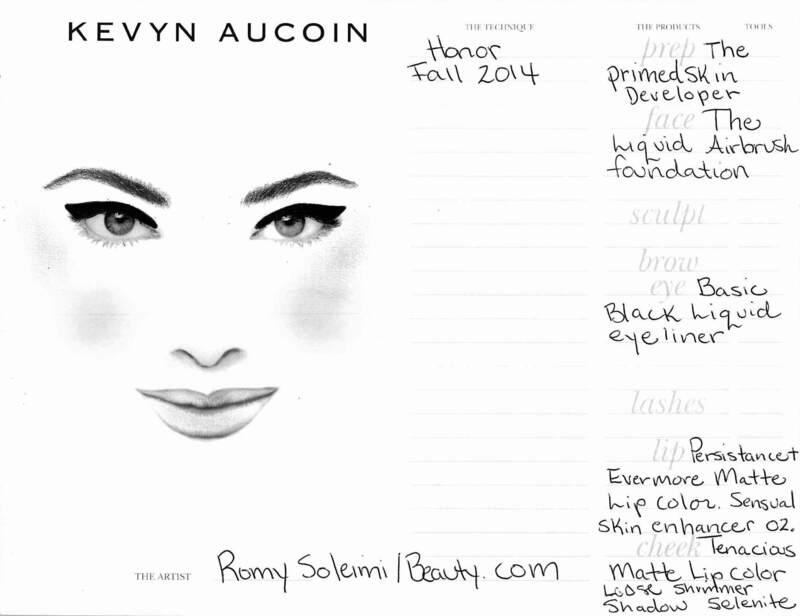 Beauty and fashion are inextricably linked, thus I was thrilled to find out ways to get the beauty looks from the Fall 2014 runway shows of a few of my favorite brands including Honor and Milly. 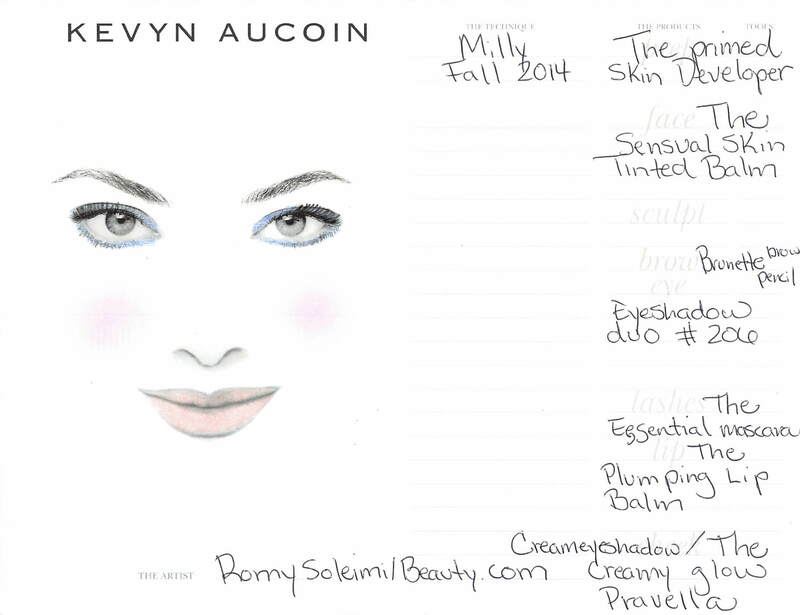 Beauty.com lead makeup artist Romy Soleimani dishes on how to get the looks with Kevyn Aucoin Beauty products. Check them out below. “A snow globe inside a terrarium” was the inspiration here. 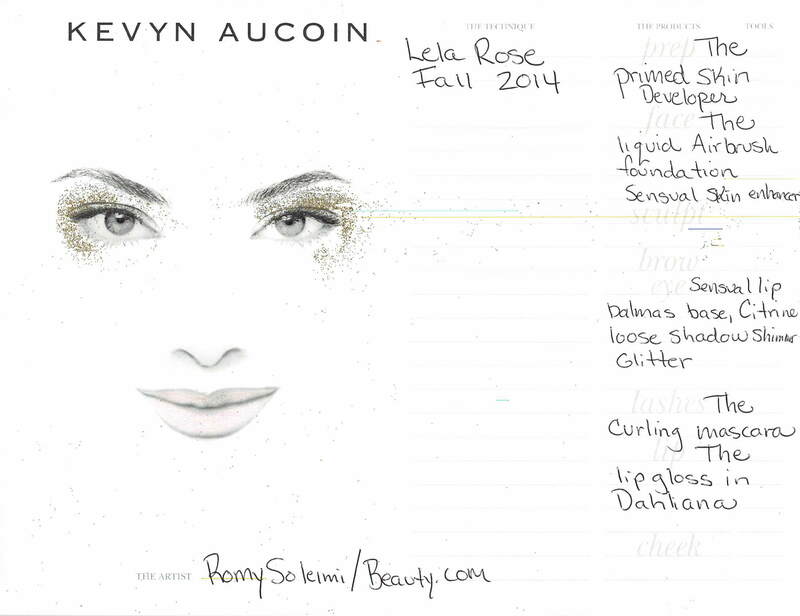 The look reflected effortless beauty, using frosted highlighting, bringing to mind dew drops. 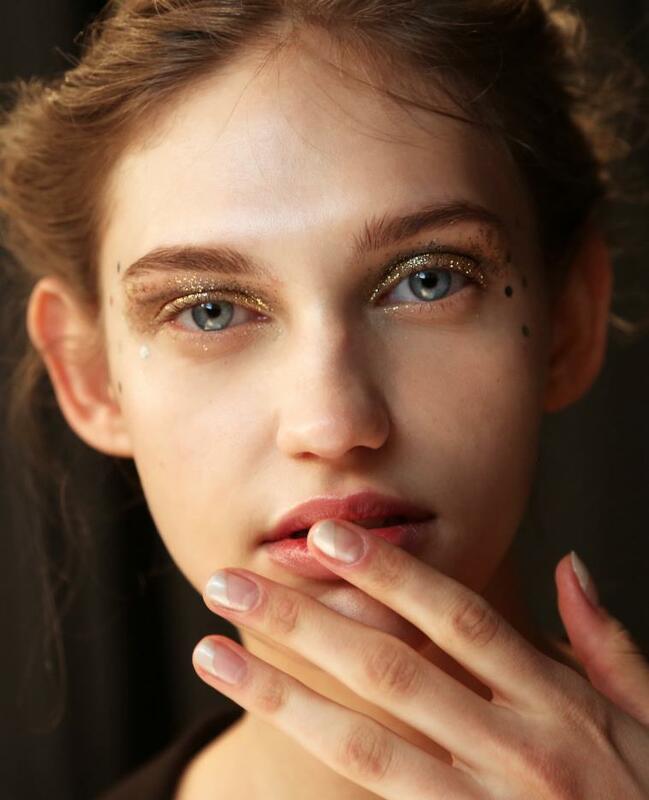 A luminous and celestial face, using glitter of different sizes and textures to demonstrate the rich fabrics and craftsmanship of the brand’s Fall 2014 collection. The runway designs were inspired by culinary artist Ferran Adria. An “off-duty ballerina” look that was pretty, natural, and clean, using a shimmering blackened blue eyeshadow to line the eyes. 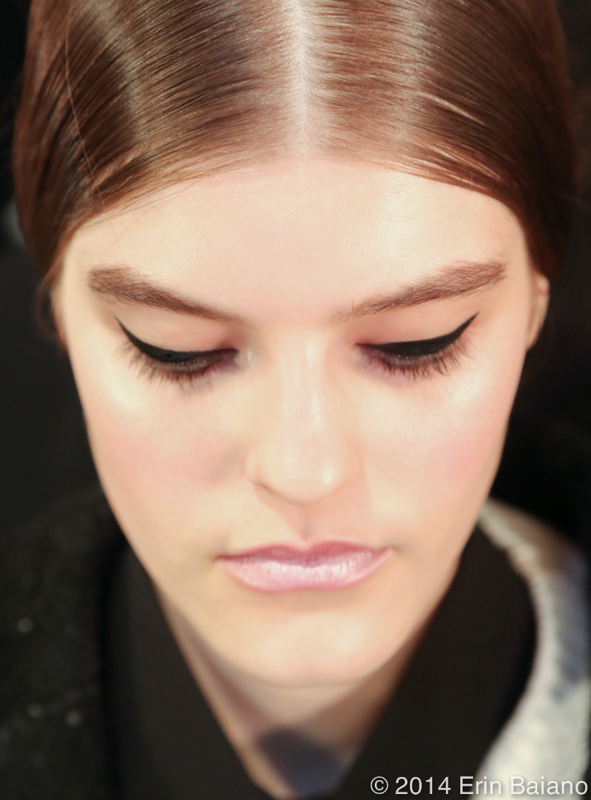 The liner and the face were kept soft. 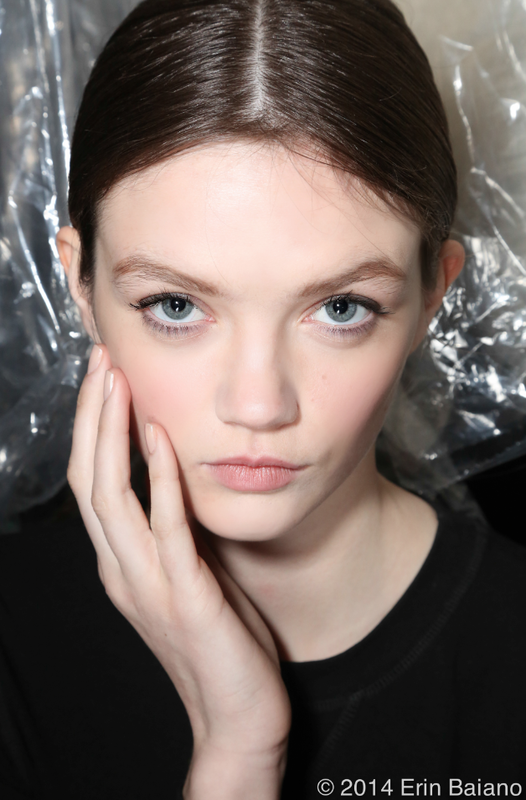 *Images courtesy of Erin Baiano/Beauty.com.